Businesses are subject to the threat of lawsuits every day, from basic cases to outlandish ones, such as Canada Dry being sued for not having real ginger in their ginger ale. Ridiculous cases aside, your small business is going to need a lawyer at some point. A good business lawyer goes beyond the traditional lawsuit assistance and can even help you achieve your business goals. Read on for our advice on hiring the best business lawyer for your small business. If you’re running your own business, don’t leave anything up to chance. Finding a good business lawyer prepares you for the professional challenges you’re likely to face. Even if you think you don’t need one, you’d be surprised by what can happen down the road. Aside from these personal claims, your business could also run into trouble regarding the building or structure you’re renting as your office space. There are business lawyers that help you deal with issues such as commercial tenant evictions. By doing your research and having a good business lawyer on deck beforehand, you’ll be better equipped to face these or any other legal problems your business could face. Finding the perfect business lawyer starts with figuring out the individual needs of your company. For example, if you run a remote office or work at home, you won’t need to look for the same kind of legal help that someone working out of a commercial office would. Finding a good business lawyer also depends on what your company specializes in. If you are a manufacturer, you may be more concerned with patenting or issues and injuries from employees. If you work with a lot of clients on a project basis, you may want to focus more on finding a business lawyer that specializes in contract negotiations. What are my liability needs regarding employees, customers, etc.? What are my individual goals for this business (short term and long term)? Am I facing financial issues, such as debt or restructuring of my capital? Where do I need to improve my business’ efficiency and/or abilities? Would I consider selling this company in the future? Will I be purchasing or leasing commercial property? Am I looking to grow my business? Once you’ve made a rough list of what your company needs, it’s much easier to pinpoint them in your research. Knowing your priorities will help you find a business lawyer that is a great fit for your small business. Now is the time to pull out that Rolodex and start reaching out to your trusted business contacts. Chances are, your associates know a good business lawyer or are currently working with one they’d recommend. Don’t just think about lawsuits. 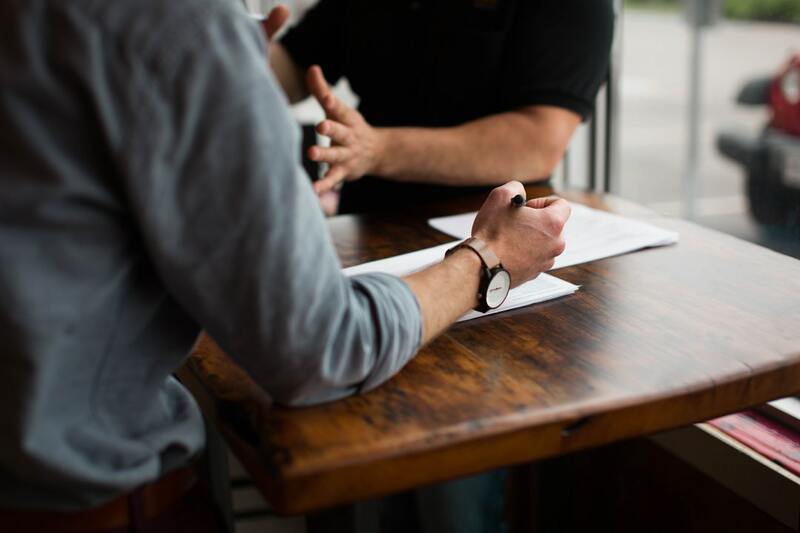 Even if your business contacts haven’t had to face any major legal issues, they probably have a business lawyer behind the scenes helping them achieve their business goals. For the best results, make sure you get a list of names to check out before moving on to the next step. Ask your business contacts what they use their business lawyer for and move from there. Once you have a solid list of business attorneys from your trusted contacts, take the time to thoroughly research each one. Most have a website you can peruse and public social media accounts as well. Go online and find out everything you can about each business attorney. When you’re researching a business lawyer, keep in mind the legal needs of your small business. This will help you determine the best business lawyer for the job. What (if any) are their specialties? Do they have any publications/blog posts/LinkedIn articles to read? In addition to this, verify them on your state bar association’s website. After this, just search for their name on the internet and see what other details you can find out. If you find a business lawyer you’re interested in, contact them for a consultation. This should be free of charge and will help you hash out your individual needs with them. A face-to-face consultation will also help you decide if you like the business lawyer’s personality and their ideas for your business. They should be just as invested in your small business as you are. Ensuring you get along well with your future business lawyer is a must if you’re going to be successful together. You should be able to be sincere, honest, and candid with them while expecting the same. Planning a consultation will also help align your expectations with what’s out there. That way, you’ll have a solid understanding of the services a business lawyer can provide for you. Once you’ve found a business lawyer you’d like to move forward with, be sure to ask about the cost structure involved in their counsel. Every business attorney is different and it’s crucial that you find a pricing structure that fits your budget. Generally, business lawyers work either by transaction or monthly fee. Most offer different options depending on what you’re looking for. Either way, be sure you’re comfortable with the price. A good business lawyer is a valuable asset to your small business. Be sure to research your options and find the perfect one to suit all your business needs. For more business resources, check out our blog.